Emerald Beach is a charming community of villas. The freshwater pool is well-sized and easy to share, and the ocean is only a few yards away if you want more space to swim and explore! Gibbs Beach is wonderfully blissful and relaxing, but I love hopping over to nearby Mullins Beach for a cocktail and jet skiing too. As far as Cassia goes, the layout leaves plenty of room for all of your guests, and the bedrooms are well-sized. It’s always nice to have a full staff on vacation, because you don’t have to cook or clean! Emerald Beach #6- Cassia is perched on an acre of landscaped gardens steps away from Gibbs Beach. This villa is 1 of 6 villas in the Emerald Beach community, and has a full staff so guests don’t have to lift a finger. Cassia has access to Emerald Beach’s communal pool, which sits in the center of the stone terrace. The pool is expansive, with ample room for large parties, and the terrace has several lounging areas. A series of loungers face the ocean, with umbrellas and shade for guests who want to enjoy the beach from a distance. Gibbs Beach is on the other side of the garden, with powdery white sand and turquoise waters to splash in. Gibbs Beach is quiet and undeveloped, perfect for a relaxing day amidst palm trees and gentle waves. Enjoy lunch al fresco under the gazebo, fresh off the barbecue grill. The lower level terrace opens to a comfortably furnished living room, which has cable TV and air-conditioning for guests’ enjoyment. The dining area is a few steps above, with a table for 6 guests and convenient access to the kitchen. The kitchen is well-equipped, and the villa’s private cook will take care of everything in this area. Each of the villa’s three bedrooms offer king-sized beds, air-conditioning, and ensuite bathrooms. The king-sized beds in the guest bedrooms can be converted into two twin beds for children. Each suite opens to a terrace or private balcony, and each bathroom has a tub and shower. 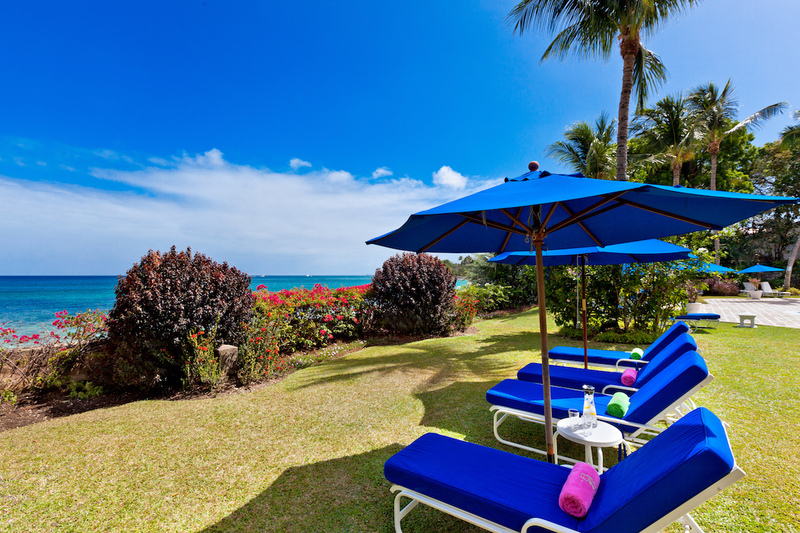 Cassia is minutes from shopping in Speightstown, and close to Mullins Beach, where guests will find beach bars, water sports, and entertainment. This oceanfront property is ideal for families and friends alike.